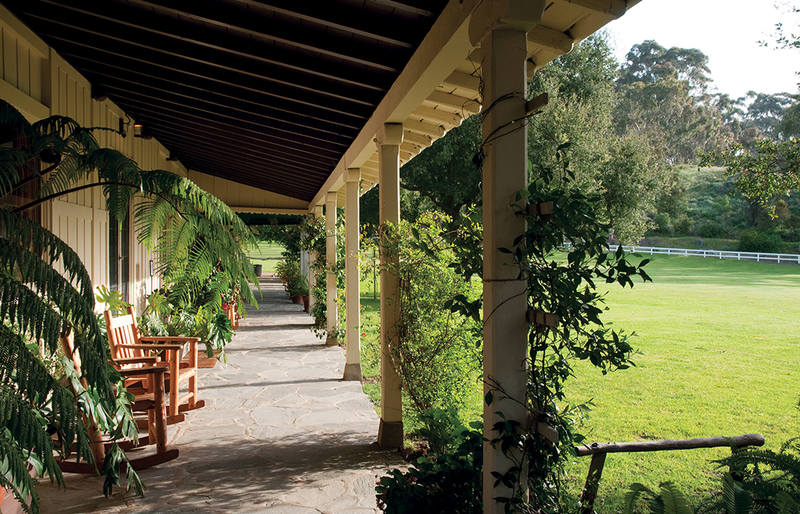 How many times have you visited Will Rogers Ranch with your kids while they play soccer or to hike or walk your dog, but have never gone into the house? Now is your chance not only to visit the home, but also to see rooms that are not normally open to the public. The Will Rogers house, which is on the National Register of Historic Places, is one of four homes on the annual Pacific Palisades Woman’s Club tour on Sunday, Nov. 20. The house was built to meld the outside and inside. The large porch that surrounds the house provided ample outdoors living, while windows brought the outside in, providing sunlight and views of the Santa Monica Mountains. A seven- by nine-foot window replaced French doors at the west end of the house and was a present from Broadway producer Florenz Ziegfeld. In Will’s upstairs study, a desk was placed in front of a large window so that he could look out towards the stable while writing his newspaper columns. A patio linking the two wings of the house furthered the idea of meshing the outdoors with indoors. It served not only as a place to gather for meals, but also as a place to relax and visit with family and friends. This white wood-frame building with shingled roofs has 31 rooms and 11 bathrooms. It still contains the family’s original all-electric 1930s kitchen appliances. The house is decorated with the original California craftsman-style furnishings and American Indian textiles and baskets. A selection of author-signed first editions from Will Rogers’ collections, normally kept upright on the library shelves, will be open for public viewing. For the tour, the Great Room and veranda will be decorated with vintage Christmas ornaments maintained over the years by friends. Also on this year’s home tour is a 1930s Spanish Revival estate once owned by Eddie Albert; a Cape-Cod style home that overlooks the Riviera Country Club; and a 2015 East Coast traditional.